There is so much we hear about different brands everyday but only marketers make the distinction between all the cacophony of appreciation, criticism and plain old stating of facts. Paid media is the subject of much censure, consisting primarily of the advertisements that rob you of more time and space to watch your favourite show or read your morning newspaper. And then there is owned media, a relatively younger phenomenon, usually consisting of a website or a journal. But the crown goes undoubtedly to earned media – coverage that the media deigns to bestow upon you with no payment whatsoever. Lazier marketers might imagine that this requires no effort either. But when it comes to media coverage, nothing happens ‘by accident’. Very few journalists will admit to sourcing news material from public relations executives. And therein lies the problem with depending on manic amount of e-mails, releases and intrusive phone calls to get your story heard. Often, the more effective strategy if you are convinced of your brand’s newsworthiness is to pay a media outlet to carry the story. If it’s interesting and relevant, people will read it. Then again, many are known to pass over anything that’s packaged as advertorials. The exposure of a paid placement can never compare to that of an earned one. But we already knew that, didn’t we? The new insight here is that a paid placement can often get you the earned media you so covet. The print media seems all geared up to reclaim its status as the best advertising platform what with Volkswagen inserting battery operated toy engines into people’s morning newspapers and Parle scenting those very newspapers with the irresistible aroma of coffee to introduce their new biscuits. Media outlets rushed to cover this resurgence of print advertising, compelled by the innovation in these ads. These brands didn’t need a mailer annoying the hell out of a thousand different journalists. All they needed was a paid placement, effective and innovative enough to be newsworthy. A brand ambassador with a voice is another easy way of generating earned media. 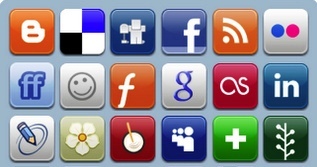 Have your brand ambassador blog or tweet interesting stories about your brand. It’s so much more likely to be covered than something you say yourself. But the rules remain the same – anything blatantly promotional is just boring and not the least bit effective. 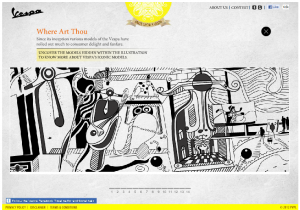 It needs to be novel, eye-catching, humorous even. Using paid and owned media to attract earned media is in fact easiest in cyber space. Thanks to the flexible nature of the medium, the potential for creativity is limitless and innovative efforts are quickly noticed. 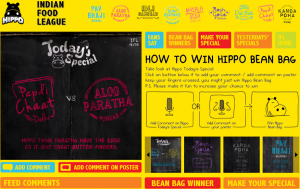 Hippo’s ‘Indian Food League’ and Vespa India’s ‘Once Upon A Vespa’ are some innovative campaigns that come to mind. They created so much of a buzz and set so many people talking that the media couldn’t help but take notice. Does it reach a lot of people? Having a social angle to your campaign never hurts because it ups your relevance quotient like nothing else can. 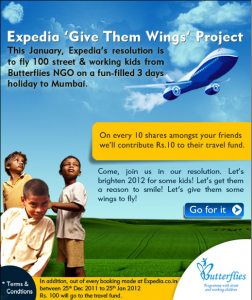 Take Expedia’s ‘Give them Wings’ campaign where the brand made a new year’s resolution to fly 100 street and working kids from Butterflies NGO on a fun-filled three days holiday to Mumbai, and asked fans to support them on several social media platforms. How can the media not cover something like that? A Facebook page or a Twitter profile is a medium you own and there is so much you can do with it. Owned media has acquired a whole new colour and a sea of new possibilities thanks to the social media boom. Good earned media is thus a balance of PR efforts and creative paid placements on owned media and other mass outlets. But the creativity can be manifested in PR efforts as well, garnering greater returns for a brand. Much of the material public relation executives circulate is simply too brand-centric. And no one really cares about a brand. Even if half of that material was more consumer-centric, it would have a much higher chance of being noticed amidst the clutter. Many are now waking up to the necessity of creating material relevant to the present time and space but linkage between a brand and current affairs needs to be logical and pertinent. ‘Newsjacking’ is a clever way to get fans to notice a brand without consciously intending to. The strategy refers to cleverly inserting a brand titbit into trending conversations and news items. PR on the social media sphere is thus a whole new ballgame. The rules are totally different but luckily, the returns are much more gratifying than those on traditional media. Video seminars, chats and hangouts are still pitifully underused. Narendra Modi’s Youtube hangout may have kicked off over an hour later than scheduled but it was still covered on every news bulletin of the day. And so was Digvijay Singh’s live Twitter chat even if it was a disastrous failure. If our babus can do it, then so can you.